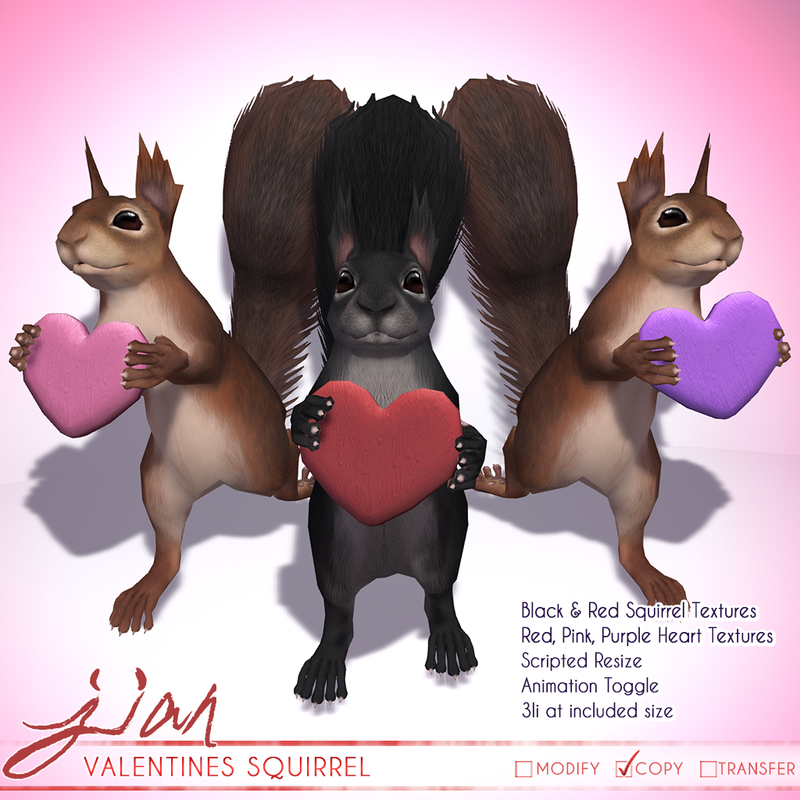 JIAN: Valentine's Squirrel for Fifty Linden Friday! Valentine's Squirrel for Fifty Linden Friday! At the MAINSTORE for FLF! Hit the post title or 'Read more' below to get the details! Two squirrel textures, three heart textures, animation toggle and a load of heckin' cuteness for 50L this weekend only! Did you ever wanna feel like a Didney princess? This is your chance. Tiger Collection @ Debut Round of Belle!